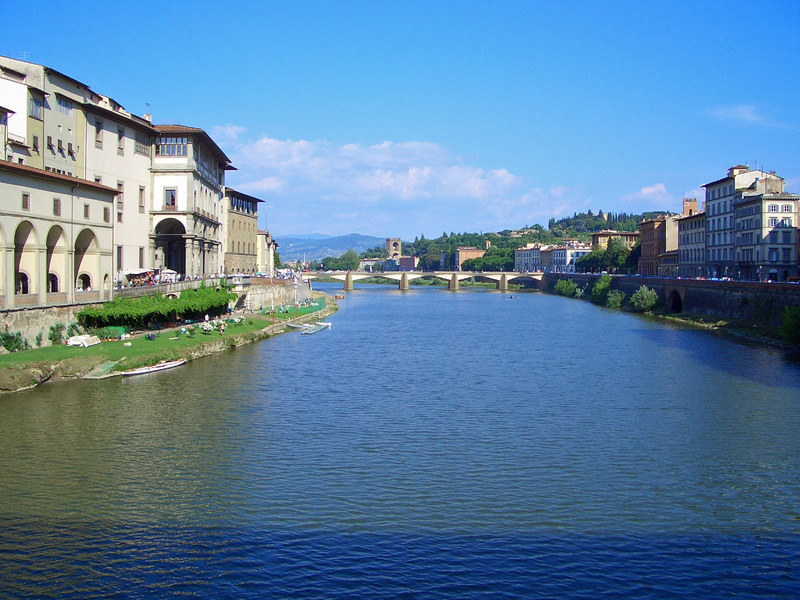 Florence is a place where art, culture, food and wine come together to create a city close to perfection. 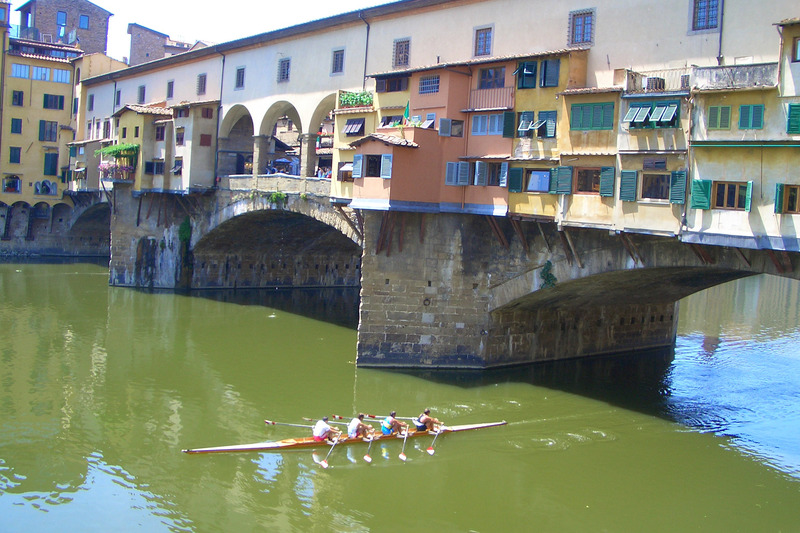 A medieval maze of ochre-coloured houses with the River Arno gliding beneath the ageless Ponte Vecchio, and Michaelangelo’s magnificent David dominating the Piazza della Signoria. 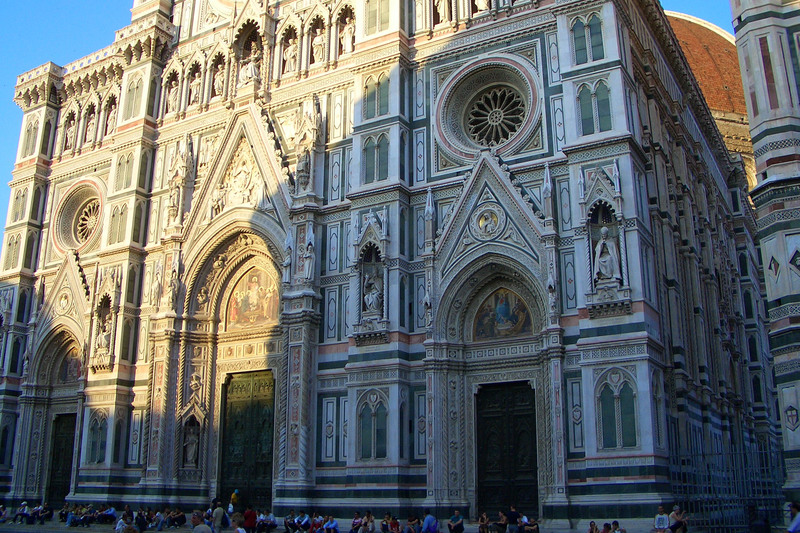 Florentines talk of the Stendhal Syndrome, a reaction to the city’s overwhelming beauty and romanticism that caused the writer Stendahl to swoon at the splendour of Santa Croce. It takes a stretch of the imagination to accept that in this technological 21st century, doctors are still reporting cases of sensitive souls fainting through the sheer emotion of viewing the Duomo, the Baptistry, and the treasures of the Uffizi. But speak to those who live there and they will assure you that this is the case. There is an unreality about Florence that causes the visitor to surrender sensible feelings and give in to a lightness of spirit. On a spring or summer evening, the city resembles an elaborate film set, and if the luscious Helen Bonham Carter were to stroll into view shading her fair skin with a parasol, it would not appear surprising. 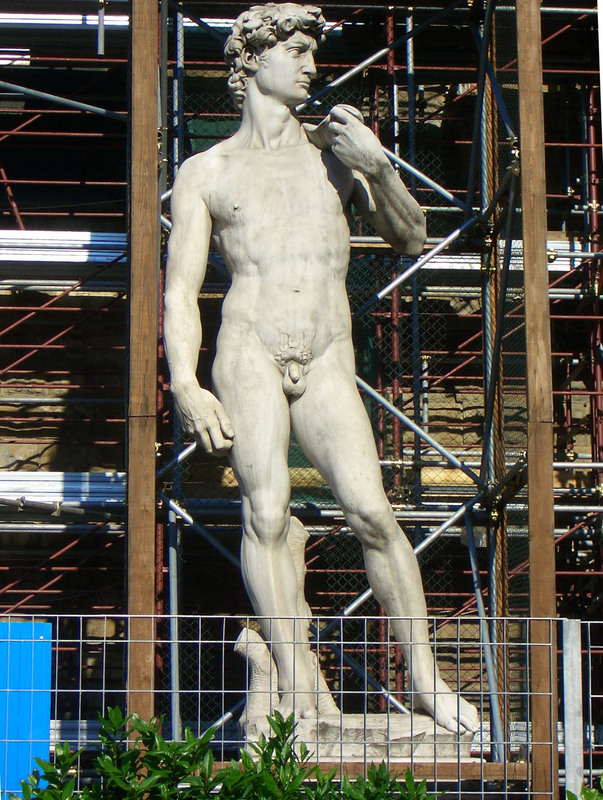 The glittering cast of characters that inhabit Renaissance history can be imagined strolling through the piazzas and along the banks of the Arno – Dante and his Beatrice, Donatello, Dante, Brunelleschi, Botticelli, and of course the towering giants Michaelangelo and Leonardo. No city on earth has so much art and architecture packed into such a small space, but not everyone has time to visit, or even wants to visit, the museums and galleries. 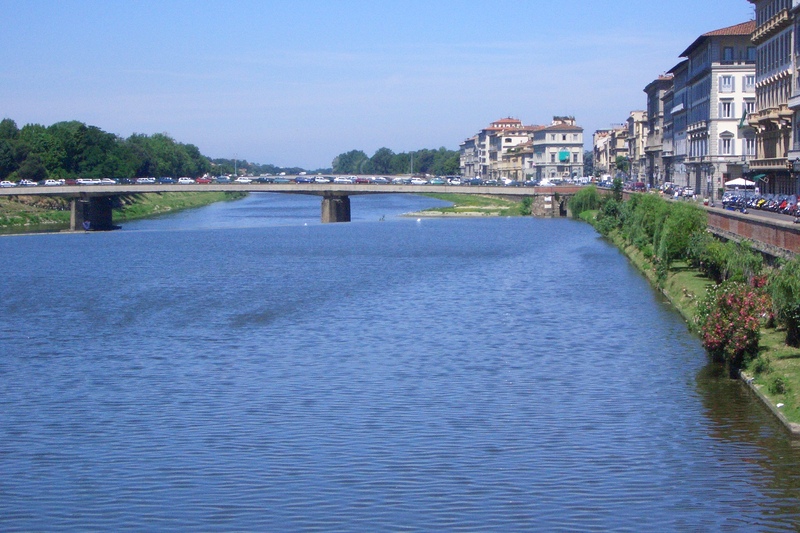 Don’t fret about it, the city is a living museum and the streets and alleyways, the exteriors of the beautiful churches, the gardens, markets and outdoor statuary may be enough – the important thing is to experience Florence your way. 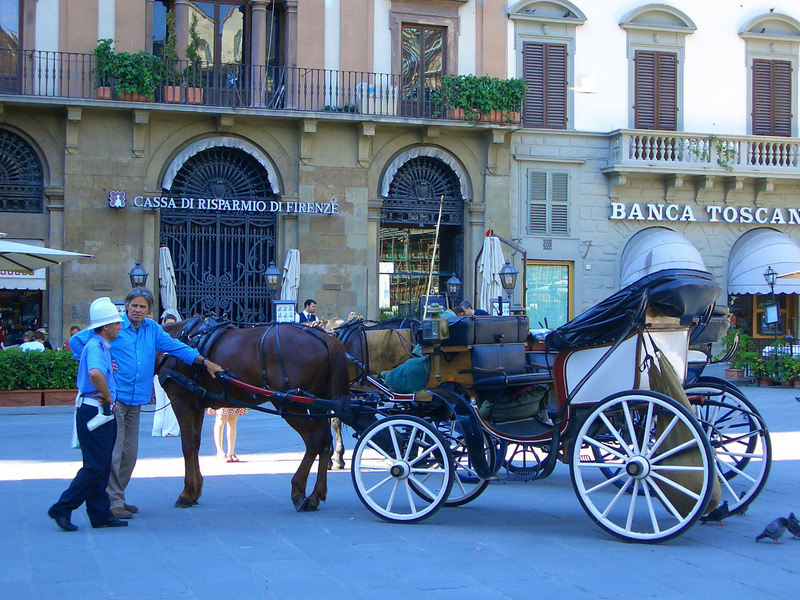 The true heart of the city is the Piazza della Signoria, centre of political activity since the Middle Ages. It was here that the monk Savanarola burned the books in the Bonfire of the Vanities and where he himself was burned at the stake in 1530, where the people of Florence proclaimed the return of the Medici from their own exile, and where in the 19th century Robert and Elizabeth Browning took hot chocolate on cold winter nights during their exile from England (their favourite cafe is still there serving hot coffee and chocolate). Towering over the café-filled Piazza is the imposing Palazzo Vecchio which has remained virtually unchanged since it was built in 1299-1302, and still functions as the town hall. Outside is a massive marble copy of Michaelangelo’s David and if you don’t want to join the queues to see the original statue in the Galleria dell’Accademia, then this copy is as near perfect as you will get: more to the point, it places the statue where the artist originally meant it to stand. Donatello’s exquisite, androgynous David is in the Uffizi Gallery just a few steps away and this must be seen too, if only to compare it with Michaelangelo’s monumental figure. The wise visitor to the city will do as the Florentines do and spend time leisurely enjoying an espresso or an aperitivo, watching the world go by while deciding how to spend the day. Subtle and sedentary moments like this are essential if one is to survive the sightseeing marathon that Florence’s many attractions make necessary. 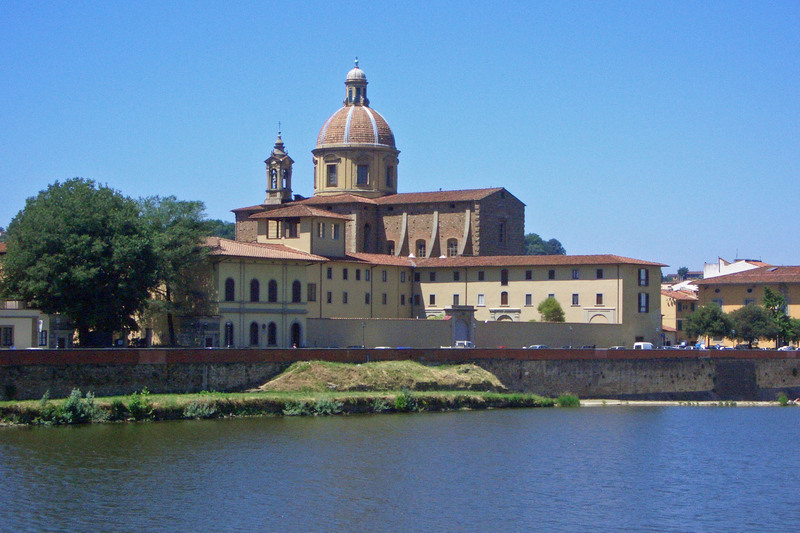 Fortunately, Florence is a compact city and you will pass and re-pass the most famous sights more than once as you stroll through the streets, contemplate nature in the Gardino di Boboli, Italy’s most visited garden, and marvel at the finest Renaissance sculptures in the Bargello, the oldest seat of government surviving in Florence and the place from which Dante’s banishment was proclaimed. 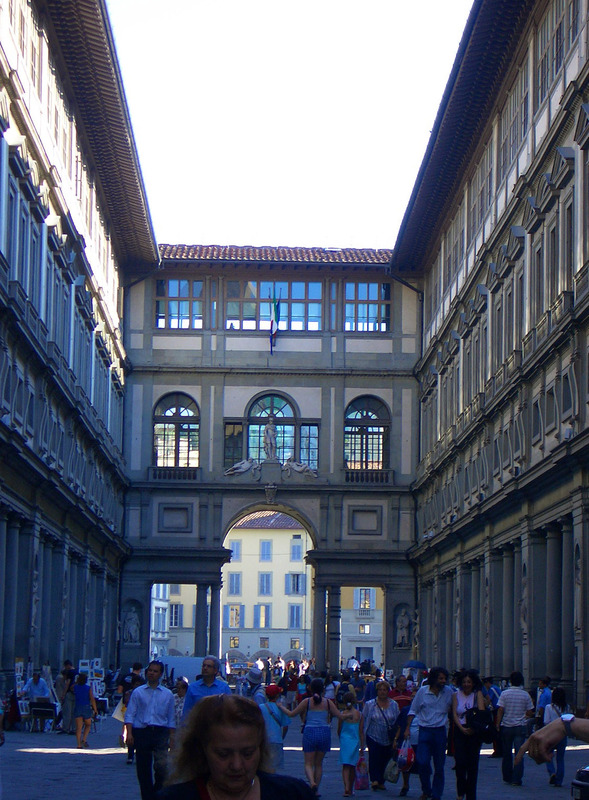 If Dante were to return to Florence today, much of the city would be familiar to him. El Duomo, one of the city’s oldest and most famous buildings and the building that broke all the rules when Brunelleschi designed it, is visible from virtually everywhere in Florence but the best view of it is from Giotto’s bell tower, Il Campanile, beside the Cathedral. 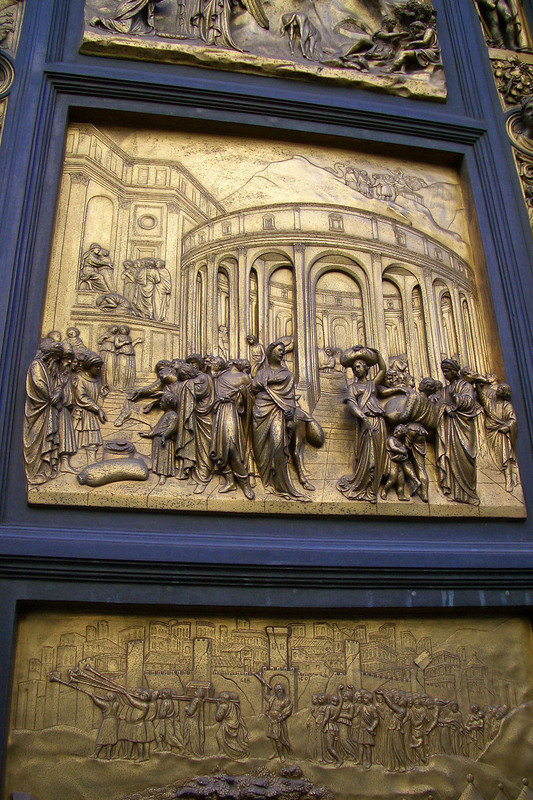 Brunellechi’s great rival was Lorenzo Ghiberti, who was responsible for the Baptistry Doors, the epitome of Renaissance art and before which one can stand for hours reading the story portrayed in bronze. 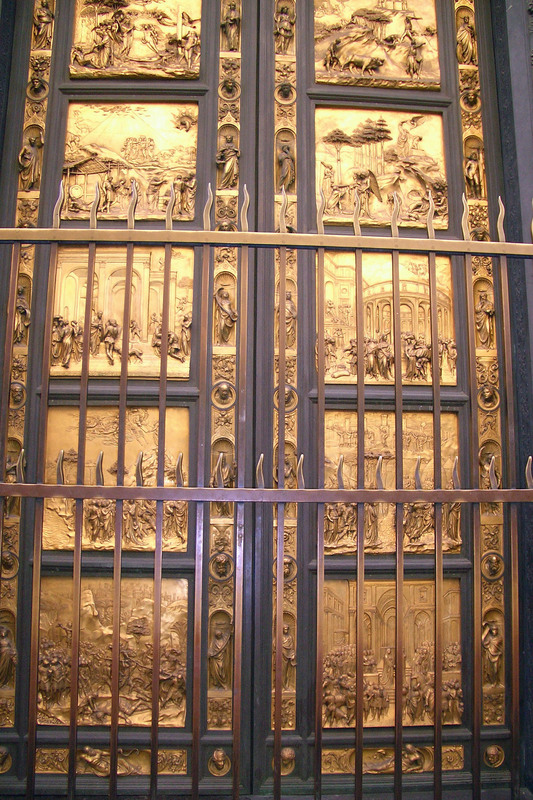 The East Door is considered his masterpiece, but again, these are not the originals: the originals are housed in the Museo dell’Opera dell’Duomo. 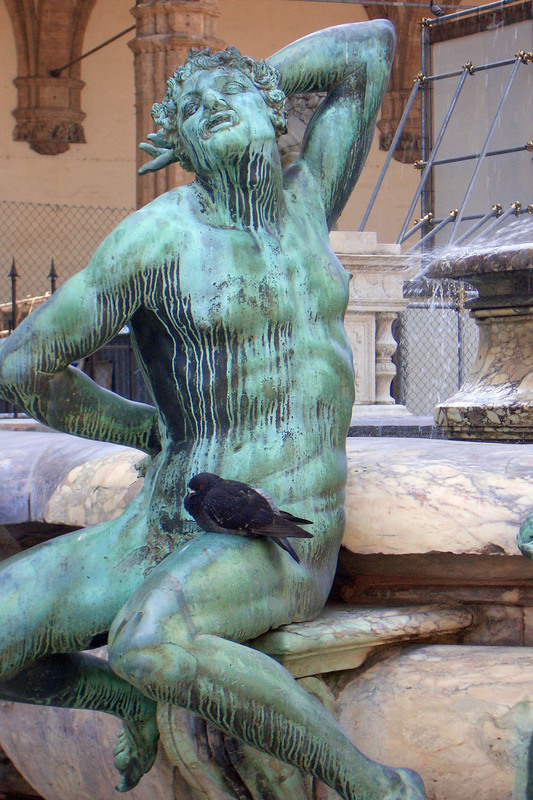 Away from the magnificence of its art and architecture, Florence is a shoppers’ paradise, the three big names being Emilio Pucci, Salvatore Ferragamo and Gucci who help keep alive the art of the Italian designers in this fashion conscious town. For goods with durability but exquisite design, visit the San Spirito neighbourhood where artisans still tool intricate designs on leather, and woodcarvers painstakingly apply whisper-thin layers of gold leaf to wooden statues. 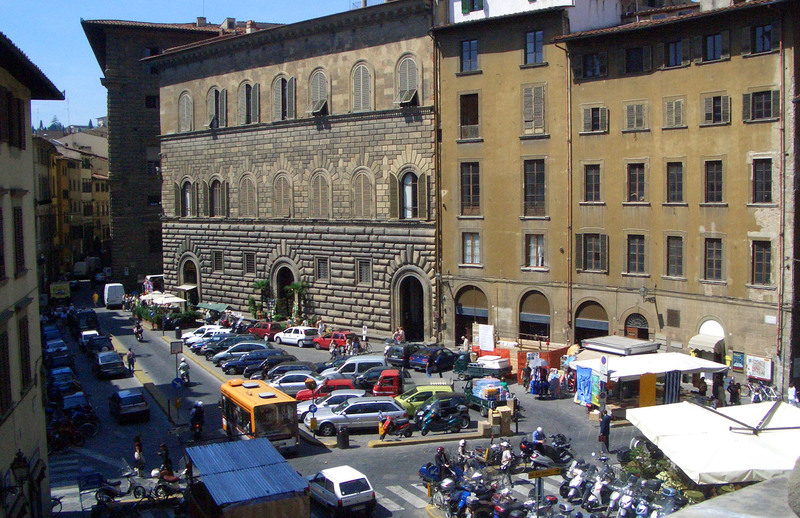 At the other end of the spectrum is the Piazza Santa Croce, where the less wealthy Florentines go to shop for moderately priced goods and if you want to get up close and personal with the locals, head for San Lorenzo Market where the stalls sell everything from crafts to food. 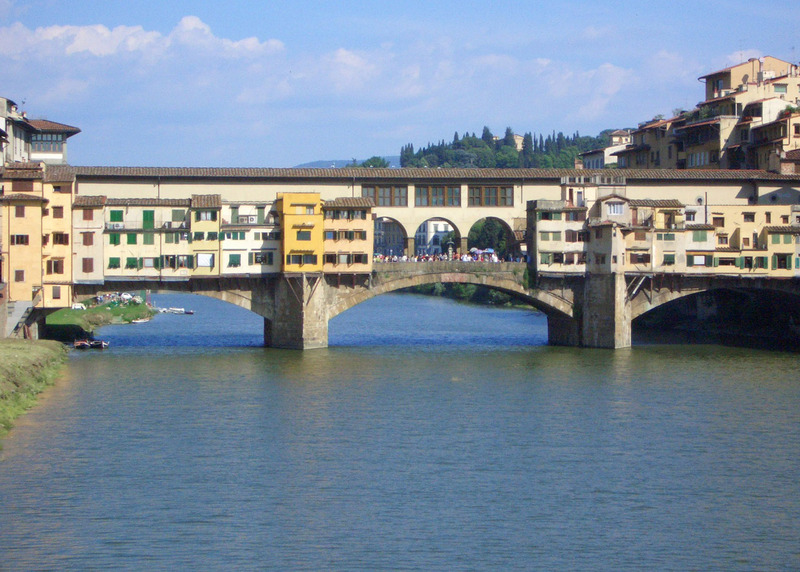 Everyone, at least once, strolls across the Ponte Vecchio, the inimitable bridge near the site of the Roman crossing of the Arno which, from the 16th century until the late 19th, had been the place to shop for Florence’s spectacular jewellery. Today the array of shops can only be considered disappointing: much better to experience the romance of the bridge from the riverside. Looking at it from a cafe or a gelateria below the bridge places it firmly in the Renaissance world, away from the tourists that crowd the shops selling cheap jewellery and trinkets. In the early evening when the sun is just about to set, look towards the bridge and imagine, if you will, Dante, Boccaccio, Machiavelli, or members of the Medici family, strolling across the bridge to visit the famous goldsmiths who carried on their trade there, their brilliantly coloured cloaks standing out against the blue sky and the distant Tuscan hills. 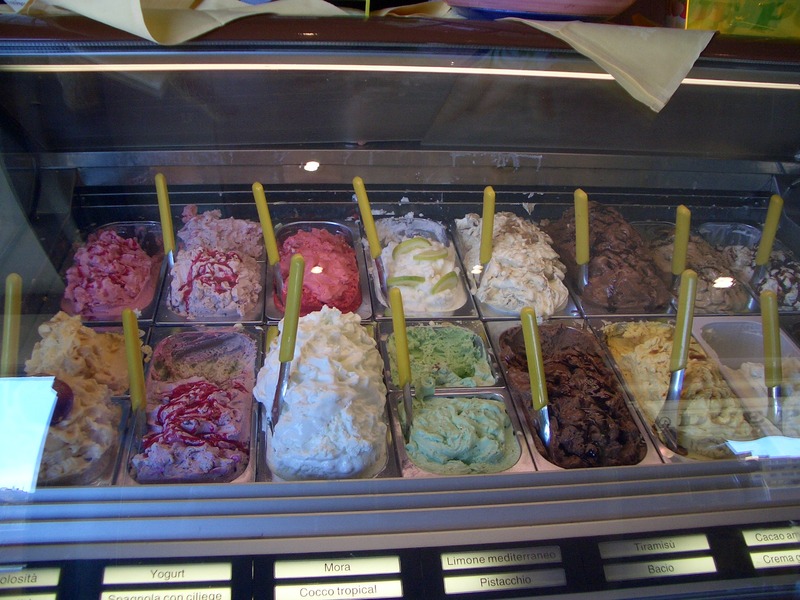 Italian Ice Cream – none better! And after hours of Giottos and Ghilbertis, piazzos and palazzos, make sure you do as the Florentines do, sit at a sidewalk cafe and have a gelato or an espresso. The best time for this is during the passeggiata, the stylised evening parade beloved of the Italians, when the object is to see and be seen. The centre for all this is on Piazza della Signoria, so grab a seat at one of the cafes there and, for a couple of hours at least, be wholeheartedly self-indulgent.